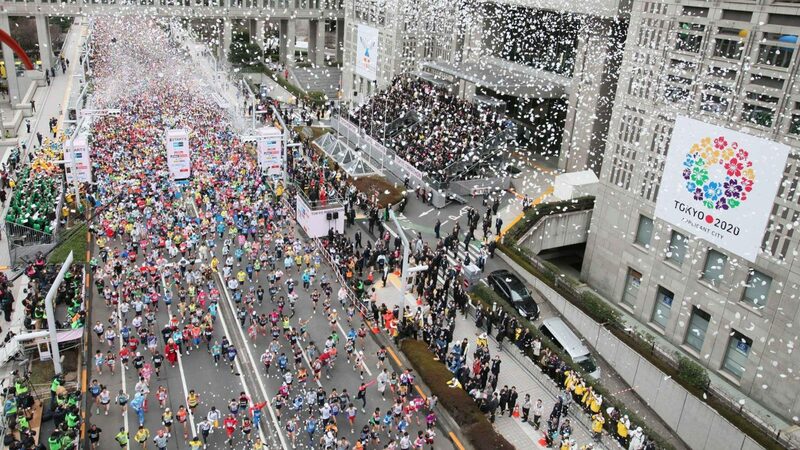 It’s not a race that gets a lot of coverage in the UK* – perhaps because it is almost 6,000 miles away and the language barrier can be difficult – but the Tokyo Marathon is deservedly considered as one of the most prestigious, high profile marathons in the world. Japan is a nation of distance running aficionados, with long-distance road relays, known as ekiden, receiving mainstream, prime-time television coverage. To compete in the ekiden relays large Japanese corporations, such as Konica Minolta, Fujitsu and Honda employ teams of athletes, snapping up the top athletes to graduate from the university teams. Marathon running is also followed avidly, with a number of large marathons taking place throughout the year. This interest and dedication to the sport is either due to, or has itself created a high-performance elite running culture in which Japanese marathoners are amongst the best in the world. The strength in depth is incredible. In 2018, 13 Japanese women ran faster than the top Brit, Lily Partridge’s 2:29’24, with the fastest, Mizuki Matsuda, running 2:22’23. Britain’s top male marathoner last year was Mo Farah, running 2:05’11. This was faster than the top Japanese male, Suguru Osaka, who ran 2:05’50. However, the 25th best Japanese male was Yuki Kawauchi with 2:11’29, compared to the 25th best Brit, Andy Greenleaf’s 2:23’19. Why mention how quick the best Japanese runners are? Because it goes some way to explaining how important marathon running is to Japanese culture, and the Tokyo Marathon is arguably the pinnacle of that. More than 300,000 people apply for one of the 37,500 places! Internationally, it perhaps ranks behind London and Boston as the first choice spring marathon for the very top elite runners. London has the budget to get the fastest men and women in the world to race, and is an attractive proposition to those looking for fast times and big prize money. Boston also has the financial clout to attract those elite runners looking to slug it out on the challenging course in a championship-style environment. Look out for fast times, as the course is known to be a quick one. Like London, it drops slightly over the first part, then levels out and is flat for the remainder of the race save for a couple of bridges and small, easy hills. If this has gotten you excited about the Tokyo Marathon and you fancy running it in 2020, how can you get in? The first option is to be very fast at running. A marathon PB of less than 2:45’00 should do it for men, or 3:30’00 for women. If your PB isn’t quite that quick, then you can try and get through in the ballot, which tends to open in August. As with London, your chance of success is pretty slim. You could try and get one of the 3,000 charity spots available, but these are first-come, first-served, so you’ll have to move quickly to snap one up. For guaranteed entry, there are tour operators who act as official agents for the race. Get in touch with one of those, hand over your money, and you could be on your way to Tokyo for a fast race in a marathon-mad nation. Have any of the Lonely Goats run the Tokyo Marathon? If so, please let us know what you thought of it, how you got on, and share any tips for others who are interested in running it.